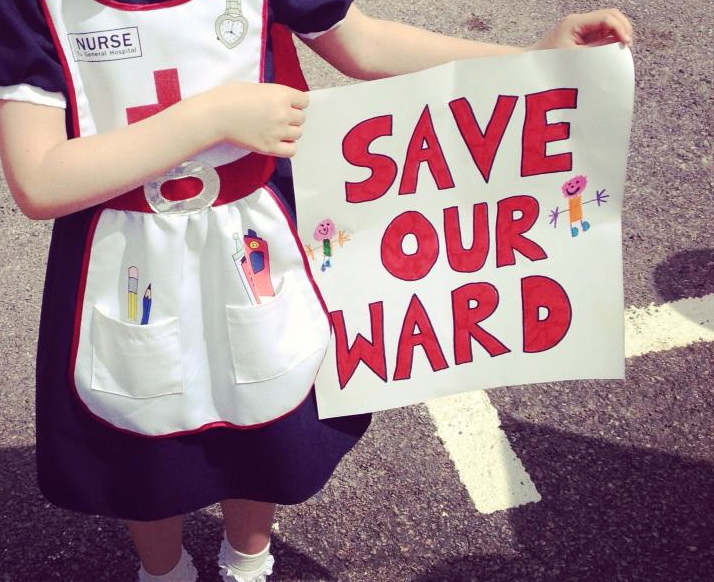 In July this year it was announced that there would a series of cuts to Bedford Hospital’s River Bank Ward that will affect anyone with a child under 19. The public will now have to use the hospitals at either Luton or Milton Keynes. – Children’s Accident and Emergency (children brought to hospital by ambulance will go straight to the next nearest hospital. Children (those aged up to 19) should not be brought to A&E as walk-in patients from 1 August. -All other services, including adult A&E remain as normal. These announcements lead to a very vocal demonstration being launched at short notice as, around 500 people took to the street in protest, with some 5000 people in two days signing a petition against the closure and their message is clear; that these proposals are outrageous and as always the case, they impact the poorest the hardest and with children, they target the most at risk and most vulnerable group. As a child who spent many a Sunday morning or evening at the local hospital recovering from a variety of sporting related injuries, I know first hand the impact some of these proposals will have on families. There are rumours or mumblings of concessions or plans to resolve the discontent of the Save Riverbank Ward Facebook group, but half measure should not and will not be tolerated. There are a succession of protests and art performances being planned to oppose these disgusting closures, one of a long line of attacks on our NHS service across the country to date. A march is being held on August 24th, starting at 12:30pm at Horne lane in Bedford and on the following week, August 31st starting at around 10:00am there will be a cavalcade procession, making their way from Bedford Hospital to the Luton and Dunstable Hospital, to highlight the issue of the journey, with a sick child (not a real one!) being wheeled on a bed and loaded on to a vehicle and taken slowly down the road to their final destination. 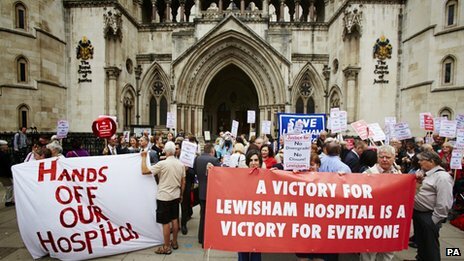 This has been championed by the Luton’s People Assembly, buoyed by the reversal of the decision to close Lewisham A&E, who realise not only the risk this attack on the hospital in Bedford poses for the future of the L&D, but for the very real hardship some families will face with the logistics of having to transport children to Luton or Milton Keynes. All are cordially invited to attend and make both events something to be proud to be part of. This may not be something that directly affects you today but in time it can and perhaps will. Lewisham has shown us that if we take a collective stand, in enough numbers, we can be the change. August 24th also marks the 50th anniversary of Martin Luther King’s speech ‘I have a dream’ in Washington, but perhaps his finest speech was his last, now affectionately referred to as ‘At the mountain top’. In this speech he explained how the biggest question he faced was not what would happen to him if he stood up for the sanitation workers, but what would happen to them if he did not stand up for them. This is as relevant today with all the attacks being faced by the public from this government, whatever the issue, be it bedroom tax, pension attacks, NHS closures and privatisation and attacks on the disabled, these are all as a result of ideological austerity being driven by corruption in our parliament and bad banking practices. They are right when they say we are in this together, but we can only turn back the tide by taking a collective stand across all issues and not just laying back on our laurels once our own individual issues are resolved.